As a locally owned and operated company, Gem Restaurant Supply is dedicated to making a difference in the Memphis Community. We know that community involvement benefits each and every one of us – from our families and friends to our coworkers and customers. With this in mind, Gem Restaurant Supply gives back to the very communities that have given us so much. 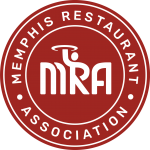 We are actively involved in community events such as Memphis in May, Zoo Rendezvous, and organizations like the Memphis Restaurant Association. We have helped to support various local, state, and national charities such as MIFA, Special Olympics, Boys & Girls Club, The Children’s Heart Foundation, and American Red Cross. Supporting the restaurant industry since 1980.